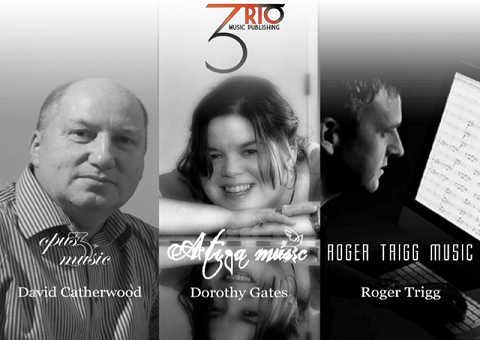 Trio Music Publishing is a new venture bringing together the music of Dorothy Gates, David Catherwood and Roger Trigg. For new, challenging and uplifting music for brass band (and for further details of all the pieces mentioned above), please visit Trio Music’s web site at Trio Music Publishing. This article was posted in News and tagged David Catherwood, Dorothy Gates, publications, publisher, Roger Trigg, Trio Music on 20 October 2013 .